While Stephen Colbert has called Michael J. Behe the “Father of Intelligent Design,” Behe’s arguments have been called, “close to heretical” by the New York Times Book Review, and Richard Dawkins has publicly taken him to task for his “maverick” views. Wherever he goes, Behe makes waves, but has remained singularly focused on doing rigorous scientific analysis that points to controversial but incredible results that other scientists won’t touch. 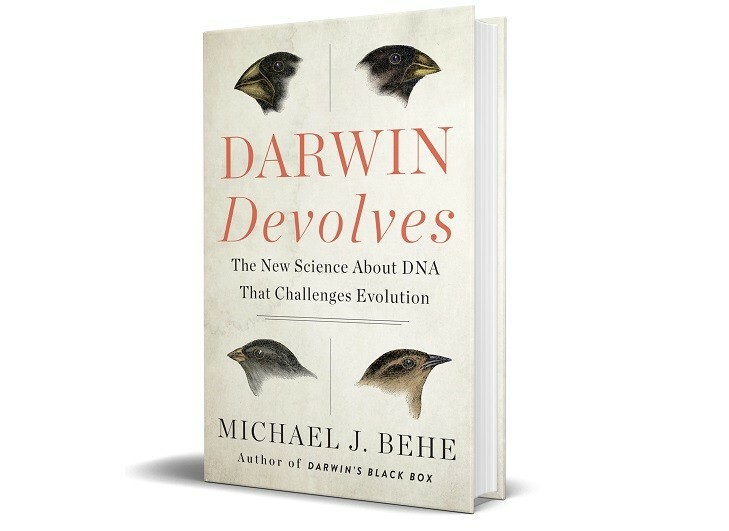 Twenty years after publishing his seminal work, Darwin’s Black Box (over 250,000 copies sold), Behe shows that new scientific discoveries point to a stunning fact: Darwin’s mechanism works by a process of devolution, not evolution. On the surface, evolution can help make something look and act different, but it doesn’t have the ability to build or create anything at the genetic level. Critically analyzing the latest research, Behe gives a sweeping tour of how modern theories of evolution fall short and how the devolving nature of Darwin’s mechanism limits them even further. If we are to get a satisfactory answer to how the most complex, stunning life-forms arose, it’s time to acknowledge the conclusion that only an intelligent mind could have designed life.